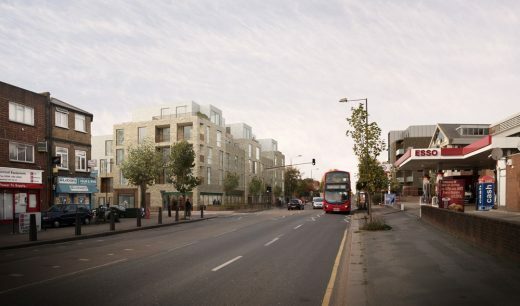 Architects pH+ and City & Suburban Homes have received planning permission to build 38 new homes in Brent Cross, an area soon to be transformed by multiple developments. 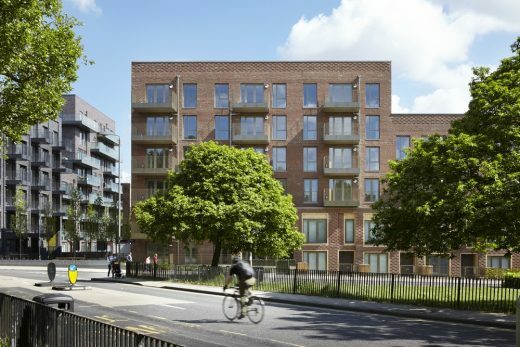 The design of Gladstone Parade therefore responds to the local vernacular but also anticipates the scale and appearance of the schemes yet to come. 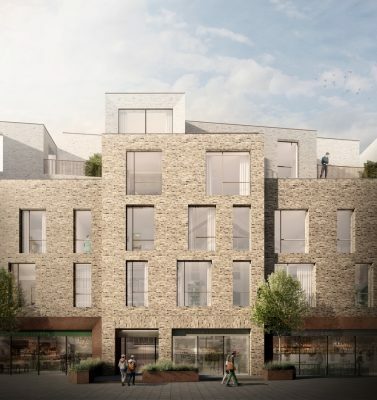 The new apartments, ranging from one- to four-bed, will be oriented around a shared garden on a first-floor podium level, with a retail parade and undercroft car park located beneath. Every flat will be granted an aspect that looks out to the street and the garden behind. The use of contrasting brick tones on the exterior of the building have been inspired by the neighbouring buildings and are detailed with deep bronze reveals. These bronze panels reappear at ground level to frame shop fronts along the street’s edge, providing a cohesive and high-quality finish. 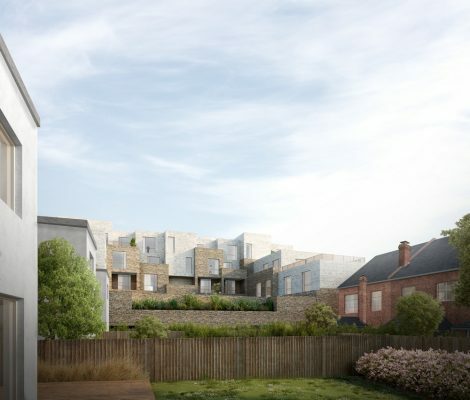 A defining characteristic of the development is a series of cascading terraces and balconies to the rear that help break down the overall mass of the building and mediate with the surrounding domestic-scale houses and gardens. 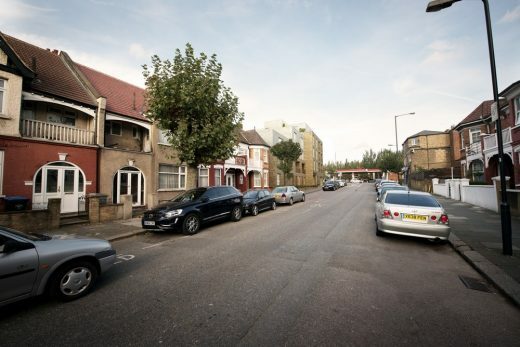 Living areas and shared outdoor spaces, where the residents will spend most of their time, are arranged on the inward facing elements of the proposed development, away from the busy Edgeware Road and towards a more peaceful outlook and the south-westerly sunlight. Now that the project has received planning permission, it’s due to go on site in Spring 2018 and will complete Summer 2019. Brent Cross is in the London Borough of Barnet and contains the Brent Cross Shopping Centre. 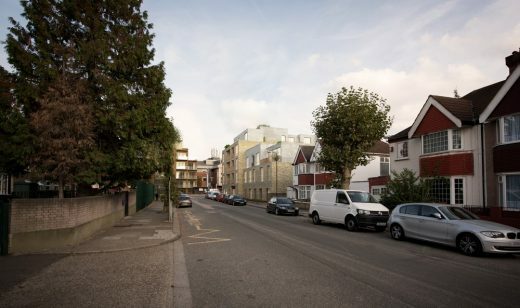 The area takes its name from an old crossroads near the River Brent and is not in the London Borough of Brent (that local authority lies to the west of the nearby A5 Edgware Road). It has no specific boundaries but in general only premises west of the Brent Cross Flyover, east of the M1 motorway and close to the North Circular are described as being in Brent Cross. The River Brent passes through it, flowing from east to west in a man-made channel.